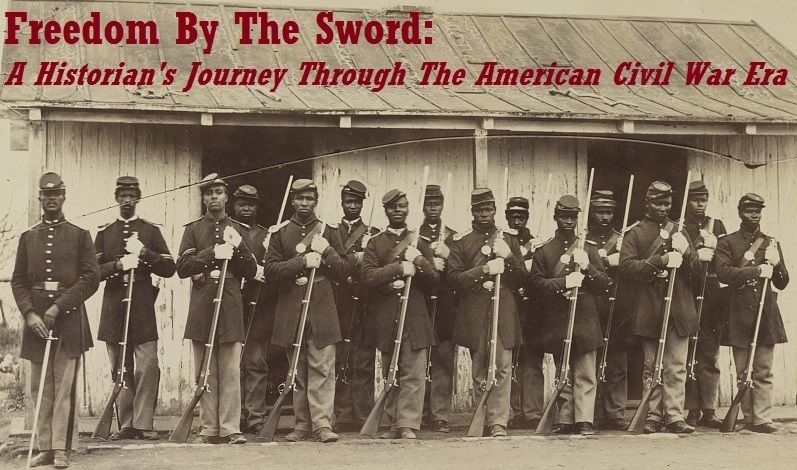 Greg Caggiano and Steven Hancock have started a new blog that will have all of the latest updates and information about the upcoming miniseries To Appomattox. I recently had the chance to review and rewrite portions of the script that had to do with USCTs and I can tell you that this is going to be an excellent series once it debuts in 2013. For those who can’t endure the wait, this new blog will give you your weekly fix and a fascinating insider’s view of the series as production move forward. 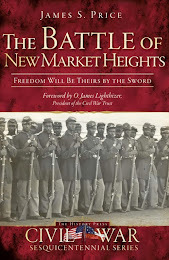 The Battle of New Market Heights: Freedom Will Be Theirs By The Sword Now Available For Pre-Order! 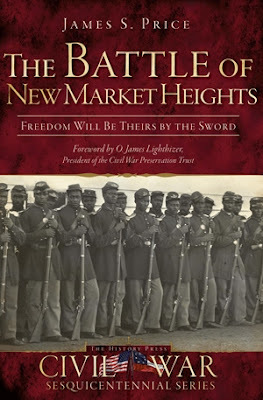 Well, after two years of research and writing I am happy to finally be able to say that my battle history of New Market Heights is now available for pre-order from The History Press! 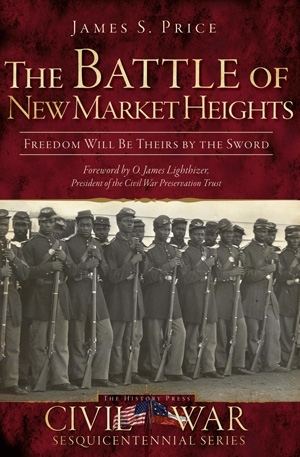 The official release date is September 15th, so if you want to be sure that you have a copy in your hands on that day, be sure to order your copy today! ...be sure to check out what should be a great event that is being sponsored by the County of Henrico. 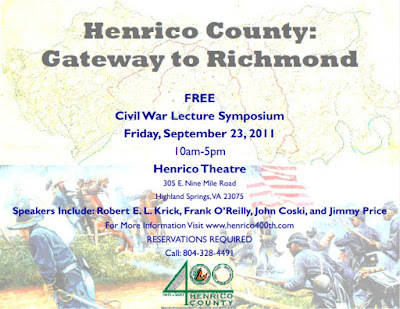 Held in honor of the Sesquicentennial of the American Civil War a FREE symposium will be the kickoff for the county's sesquicentennial commemoration, bringing together nationally-renowned authors and experts for a discussion of the crucial role played by Henrico County in the American Civil War. Robert E. L. Krick, National Park Service Historian and author of “Stuart’s Last Ride: A Confederate View of Sheridan’s Raid"
The event will be held from 10 a.m. - 5 p.m. at Henrico Theatre, 305 E. Nine Mile Road, Highland Springs, 23075. To register, call 804-328-4491.